Dementia is general term used to describe several symptoms including impairments to memory, thinking and communication. Dementias are usually caused by brain cell death & neurodegenerative disease. 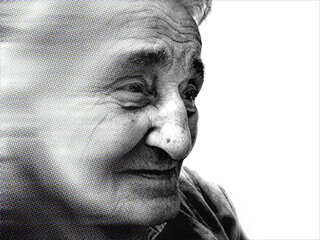 Dementia can also be caused by a stroke, a head injury or a brain tumor. Vascular dementia results from brain cell death generally caused by conditions like cerebrovascular diseases like stroke. This stops the normal blood flow, depriving the brain cells of the life force, oxygen. Post-traumatic dementia is related directly to brain cell death that is caused by injury. Several types of traumatic brain injury, especially if repetitive, like those received by sports players, seem to have been related to certain dementias that appear in the later stages of life. Alzheimer’s Disease is characterized by the “plaques” which form between the cells that are dying in the brain and the “tangles” within the cells (caused due to protein abnormalities). Brain tissue in an individual with Alzheimer’s has fewer nerve cells & connections, resulting in the shrinkage of the total size of the brain. Dementia with Lewy bodies happens to be a neurodegenerative condition that is linked to abnormal structures enclosed in the brain. Changes in the brain involve a protein known as alpha-synuclein. Mixed dementia normally refers to the diagnosis of two / three types occurring together. Say, for instance, at the same time, a person would show both Alzheimer’s disease & vascular dementia. Parkinson’s disease is marked by the presence of Lewy bodies as well. While Parkinson’s is often thought of as disorder of movement, those with Parkinson’s can go on to develop several dementia symptoms. Huntington’s disease is often characterized by particular types of uncontrolled movements; however, also includes dementia. Well, there isn’t any one test to diagnose dementia. Doctors normally diagnose Alzheimer’s and several other types of dementia primarily based on a vigilant medical history, physical examination, lab tests, and several characteristic changes in thinking pattern, day-to-day function & behavior linked with each type. Treatment of dementia mainly depends on its cause. In case of a majority of progressive dementias, there isn’t any cure and o treatment to slow or stop its progression. However, there are certain drug treatments which may temporarily improve the symptoms. Medications that are used to treat Alzheimer’s are generally prescribed to help patients with symptoms of other different types of dementia as well. Sometimes, non-drug therapies also alleviate several symptoms of dementia.